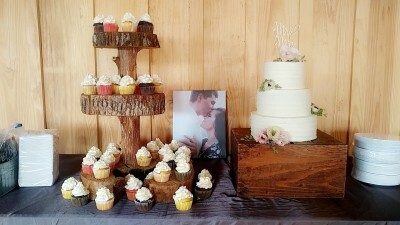 We offer several different options of desserts for your special day. They range from cakes, cupcakes, dipped fruits, fried pies, dipped pretzels, cookies, brownies, or single serve pies. We also offer Gluten Free options as well. There is a delivery fee anywhere beyond Dahlonega. Price will be determined depending on mileage. 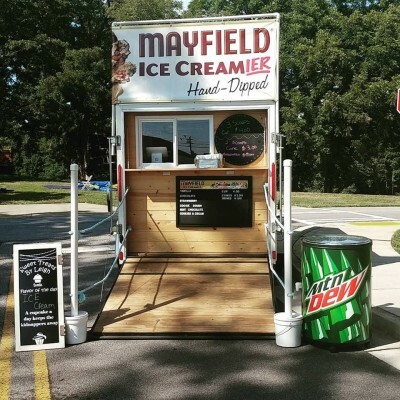 Book our Ice cream trailer today for your special event, Party or Wedding! Download the Contract for the trailer by clicking below. Let your child be a Little Bitty Baker for a day! Celebrate your child's special day by introducing them to the wonderful world of cupcakes! Children will enjoy pizza, music and activities, and best of all they'll decorate alongside a Sweet Treats baker! Receive hands-on lessons on how to frost, decorate, and design cupcakes with frosting, sprinkles!